Finance Minister Arun Jaitley has said that alternative investment funds can now attract capital from foreign investors, a move which is likely to be cheered by local hedge funds in particular. 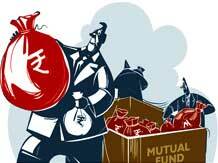 India-based hedge funds had been making representations to the authorities to allow foreign funds for some time. They had cited their outperformance compared to India-dedicated hedge funds which are based out of the country as likely to attract interest from foreign players. However, they had been unable to raise any capital, lacking permission to do so. The regulatory authorities, for their part, are said to have been uncomfortable with allowing large-scale foreign money flow into hedge funds, though this could not be independently confirmed. An email sent on the matter did not immediately receive a reply. Statistics from data provider Eurekahedge shows that the past year (2014) had seen allocations to hedge funds with a mandate to invest in India reach a multi-year peak of $3.45 billion. Around $3.06 billion came from funds located outside the country. In fact, local funds only accounted for $392 million. India-dedicated hedge funds return was 50.18%, outperforming those based from other countries, which had returns of 44.19%. A similar trend is seen in four out of five of the previous years, according to Eurekahedge data.